Hawaii is a mecca for sushi lovers! Sushi in Hawaii is fresh and abundant and often served as appetizers on any local menu. There are also several sushi restaurants in Hawaii bringing you a dedicated menu of seared and raw ocean delights. Japan has a significant influence on Hawaii, which has filtered down to restaurant choices. 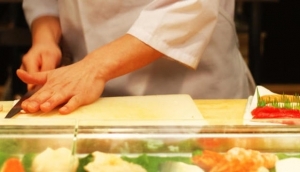 Many restaurants serve sushi and sashimi dishes with sauces imported from Japan.